The fishing the last week or so seems to be a lot like the weather. Sometimes good, sometimes not so good. Much depends on what you are angling for. The warm sunny days are great for bass and panfish, the cool, overcast days have been better for the trout angler. In PA sulphurs are going strong, march browns, tan caddis, and green drakes. Nymphs and spinners of all of the above should be in your box as well. Look for the PA trout angling to stay very good well into June if this wet, cool weather stays around. Bass bite has been clouser minnows, murdich minnows, leeches, and crawfish. For Presque Isle and the lake shore i would definitely have a full intermediate fly line, or a sink tip fly line with the high lake levels. We have some very nice ones at the shop. 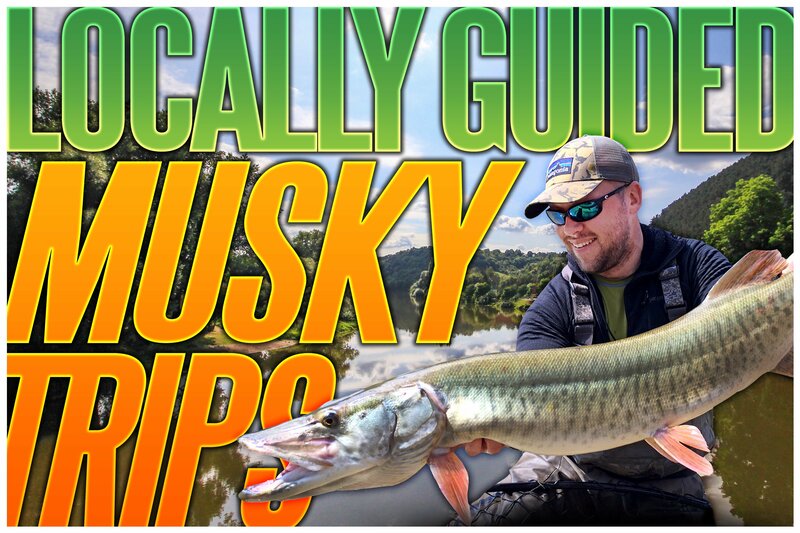 You may have noticed that we are now offering Musky Trips on the fly. These trips are a lot of work, casting big flies on big rods. However the reward can be pretty good to. Please see below for trip details. Hope everyone has a wonderful holiday weekend, and takes a minute to remember what we are celebrating. Remember to support your local fly shop and tight lines from Chagrin River Outfitters. Location: Primarily lakes, but will be determined at the time of the trip for best opportunity. Duration: Trips will last 4-5 hours. Weekday trips will start between 4-4:30 and go until dark. Weekend trips will begin based on the conditions at the time. Timing: Post spawn fishing in April/May is good, as is June. Fishing stays good until November. Extreme heat in the summer (late July/August) might shut fishing down, or limit it to mornings and evenings. Weekday evening trips will be either Tuesday or Thursday. Other weekdays can be done by request. Gear: Guides can provide all gear and flies. 11wt and 12wt fly rods, floating, intermediate, and sinking lines. Large 8-12 inch flies. Expectations: Not for the beginner fly fisherman. Anglers should be able to double haul, and cast a 12wt comfortably for 4-5 hours. Expect to throw large streamers (6-10”) on 11wt & 12wt rods using full sinking lines, for large predatory fish ranging in size from 30”-50” A good day of fishing is typically getting 2-3 shots at fish in 4 hours of fishing. Cost: $400 for one or two anglers. Anglers must take turns fishing when two anglers on board. Next June fishing opportunities, wader/boot sale, river report.